The facility can be configured by our test engineers to fully replicate most customer full scale needs. We can both validate the engineering computer model predictions and then provide a reduced risk solution by testing the unit/system to our customers' requirements. 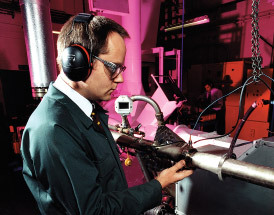 This enables us to carry out over 90% of all our test requirements for production, qualification programmes and development on-site.